It’s a brand new year and Excel Affiliates have sent us a newsletter. This contains everything that they have going on and all the new promotions they are going to be featuring. We will give you guys a brief explanation of the best information it contains. This New Year is packed with bonuses for you guys as they have now introduced No wager bonus spins with a match up bonus of 200% up to €/£/$ 50. We will update our Conquer Casino Review accordingly to the new promotion. However, terms and conditions do apply to all promotions offered. 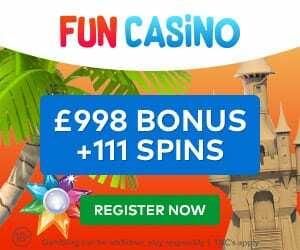 Enjoy 200% match up to $/€/£100 on your first deposit plus you guys get an additional 100 Spins on Starburst on your 2nd deposit. Be sure to check out the terms and conditions of this new promotion before you deposit. We will also make sure our Cheeky Riches Casino Review is updated also. 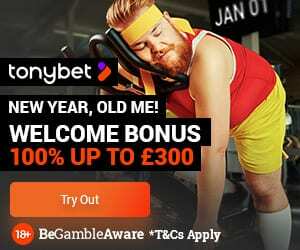 January offers are now live where you guys can get exclusive 150% match up bonus + 15 no wager free Spins. Check our in-depth Fruity King Casino Review for our expert’s opinion on this brand. Term and conditions do apply to all promotions offered. Welcome this New year with 10 No Deposit spins on Starburst + 100% up to £500 along with 100 Spins on Cleopatra at SlotStars Casino! However, please read the terms and conditions of this promotion before you deposit. As a result, our SlotStars Casino Review will be updated with this new information. To celebrate the new year Vegas Paradise is, therefore, giving away 75 bonus spins on the games Kitty Payout and Fluffy Favourites. See our Vegas Paradise Casino Review for information on all of their promotions. Term and conditions do apply to all promotions offered. This New Year, you guys can claim up to £500 Welcome Bonus on some great slot games + 50 free spins on Starburst at Monster Casino! Be sure that before you deposit you read the full terms and conditions of this offer. As a result, we will be updating our Monster Casino Review with all the latest info you guys need to know. You guys can now get a huge bonus of up to £/€/$ 1500 + 10 No Deposit Spins + 25 Bonus Spins! As always such an exciting welcome pages come with terms and conditions, make sure you read them. Our Jackpot Fruity Casino Review will be updated with all the latest info for you guys. SpinzWin Casino will let you guys receive 5 no deposit bonus spins when you sign up this New Year! Our Spinzwin Casino Review will have all the latest on the promotions offered but be sure to read the terms and conditions of the promotion. Let us know your experiences at any of these casinos in the comments below or on the relevant review pages. We will use your comments to give you guys the best ratings on all of these casinos.